is one of family's favorite winter drinks. I always make a big batch in December and hope that it will last. It makes a great gift in a pretty little jar with a cute tag, too. A happy Christmas to you from Harvest Lane Cottage! My boys and I love anything flavored with peppermint and chocolate! I normally just buy the coffee creamer flavor and put that in our cocoa, tea or coffee. But, I think I would rather make this! Thanks so much for sharing!! I have GOT to try this! I am sure my children will love it! You're welcome, Amy. It's been a family favorite here for years. It's easy and my kids love it. I'm thinking about trying to make it in a food processor. I love hot chocolate, and we drink a lot during the winter months.. I will make a batch of this.. Thanks for sharing. Just got my things together today, Judy. We'll be making a batch this weekend I imagine. Give it a try, Billie Jo. I'll bet you enjoy it. Thanks, Laura. I am going to be making this for our house and as gifts! Yum! 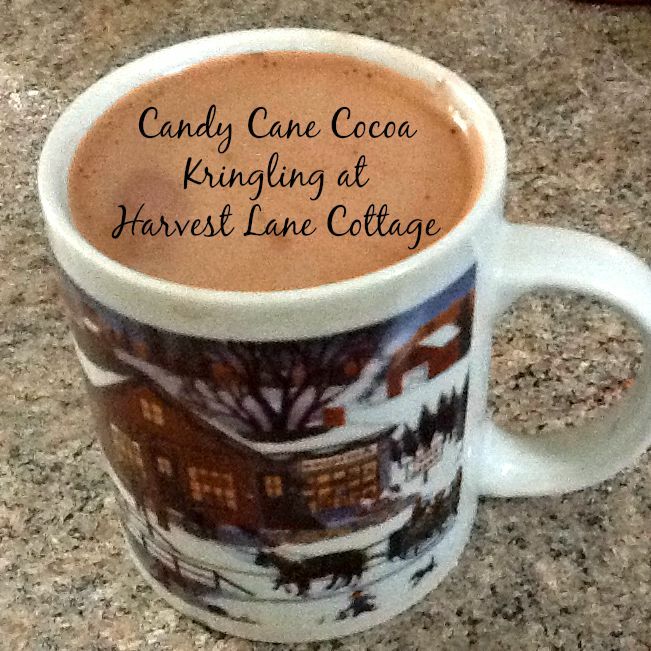 This hot chocolate looks delish, and so easy to make! Yum! 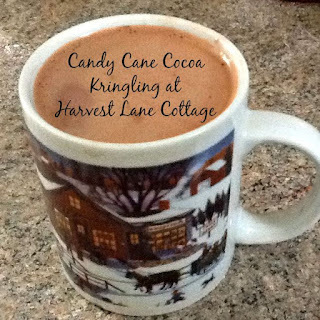 A perfect drink for the season. Thanks for sharing at My Flagstaff Home! You'll like it, Linda. Adjust the amount in your cup until it's just right for you. I'm so glad to hear that Anne. Be blessed and enjoy! I am visiting from Stephanie's blog. I had just been searching online for a nice gift to put in a jar! Thank you so much for the recipe! YUM! I am definitely trying this! Thanks for sharing!! Oh Mildred! I'm so glad to be of help. I noticed you have a blog. I'll be over for a visit in a few minutes. This sounds amazing. My youngest son is a huge minty chocolate fan. This would be a hit for him. I want to thank you for visiting my blog. Also, for sharing your pantry stock up idea. Thank you for letting me know about the no reply blogger. I didn't even know about it. I will check into it. Oh, you are quite welcome, Mrs. Chrissy T. Candy Cane Cocoa is a big hit here. sounds delish! and for sure drinkable year round! thanks for the recipe! What a good idea to make it and have it on hand. Thanks for sharing this at our Wrapping Up the Holidays Party. Pinning. My kids love it. Thanks for the pin! We will really enjoy your Candy Cane Cocoa! Thanks so much for sharing with us at Full Plate Thursday and have a great week!